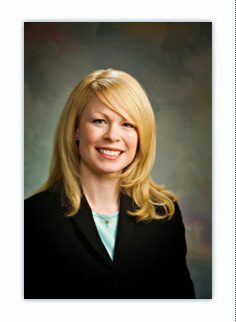 Kristin D. Magin – Of Counsel – Salmon, Lewis & Weldon P.L.C. Kristin Magin’s practice focuses on commercial real estate and business transactions. Her primary clients include developers, lenders, landlords, tenants and business owners. Kristin has past experience assisting clients with acquisitions and dispositions of real estate and company assets, commercial and retail leasing, business entity structuring and formation, and real estate finance and investment transactions, including loan restructurings, debt financings, mezzanine financing, joint ventures and preferred equity transactions. Counseled multiple business owners in structuring their business entity and drafting formation and operative documents to suit specific client objectives. Drafted retail leases for a national retail landlord at multiple shopping centers throughout the United States. Represented several real estate developers in the acquisition of distressed promissory notes secured by commercial real estate. Closed several refinance transactions for lenders on distressed commercial real estate. Represented numerous individuals and entities in the negotiation of purchase and sale agreements for the acquisition and disposition of commercial real estate. Negotiated and closed numerous commercial mortgage loans for the acquisition of office buildings, many in the range of $25,000,000 to $75,000,000. Advised several small business clients in the negotiation and disposition of company assets through stock purchase agreements. Represented business entity in closing debt and mezzanine financing for multiple senior living and assisted living projects. Represented clients in all aspects of due diligence review for business entity acquisition to analyze risk factors for clients. Reviewed all aspects of commercial real estate due diligence and provided counsel to clients related to title insurance recommendations. Drafted condominium declaration for several residential and office condominium projects.